Candidasa might not have a real beach but luckily there are still many places where you can find a lovely spot at the sea. 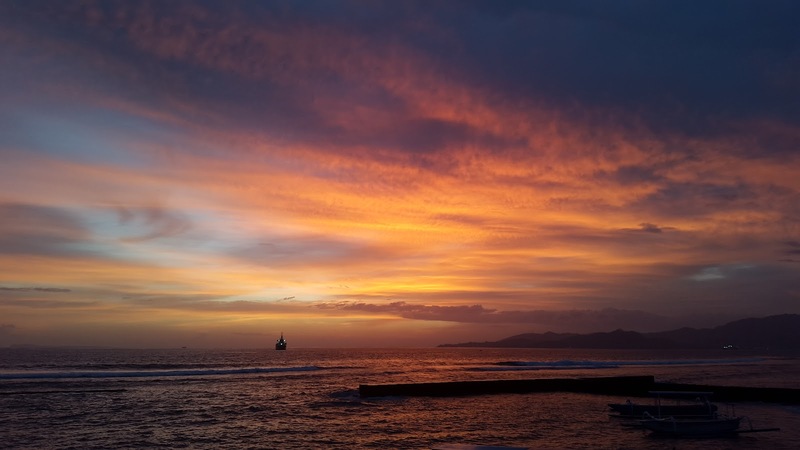 Kuta beach is the most popular place to watch the sunset, but Candidasa has incredible ones too. If you leave Candidasa you will soon find yourself driving along rice fields. Uphill it continuous. Here you have gorgeous ocean views. 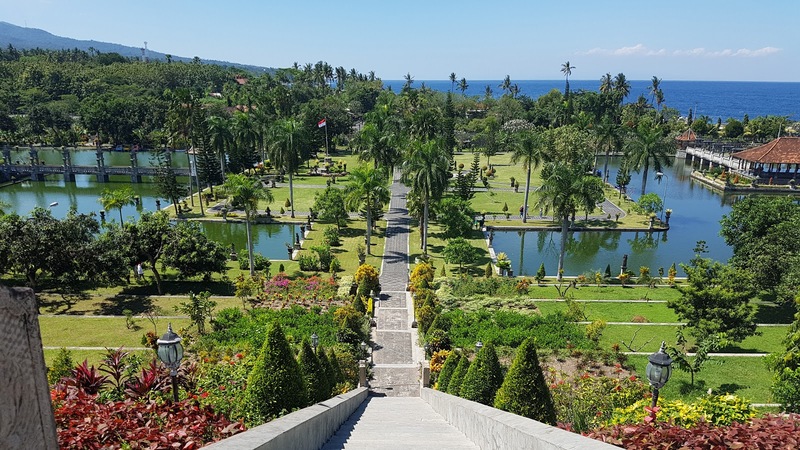 If you want to escape the crowd, enjoy the ocean and Balinese culture then Candidasa is a great option to spend a couple of days. It's easy to find your way. If you do not see the signs correctly you may have passed this small fishing village. The busy main road through town is called Jalan Raya Candidasa and connects Klungkung city with Amlapura. The village is very small so it does not have the city center, but if you are in a large lotus lagoon, you are pretty much in the 'center'. Because Candidasa consists only of one main road, accommodation, shops and restaurants stretch along that road. There is a sidewalk where you can easily walk but if you do not want to walk too far then you can always travel like locals and use local public transport. 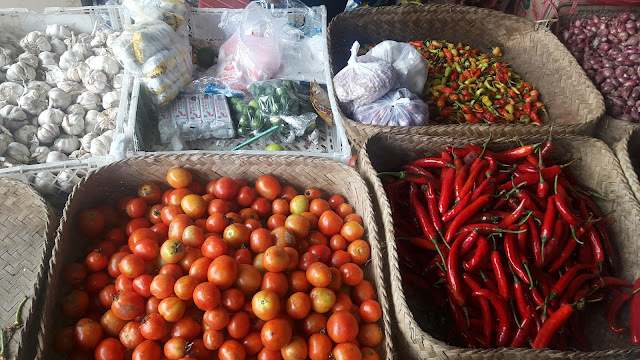 Occasionally a bright red bemo will pass through Padang Bai located west of Candidasa or to Amlapura, which is located in the east. Just wave when it approaches you and hop on. Another convenient option is to rent a motorbike. There are many shops that rent bicycles, but you can also approach the reception of your hotel which will be able to arrange it. And of course you can arrange a driver who can take you to all the interesting things in this area of ​​Bali. The main cultural sight in Candidasa is the Pura Candidasa, the village temple. It is believed to have existed from the 11th century. Located opposite the lagoon along the main road and dedicated to Lord Shiva and the Hariti fertility goddess. The statue in the temple is surrounded by children then the name Candidasa that comes from Cilidasa which in turn means 'ten children'. In front of the temple you can see the drivers stop to place the offerings and to get their blessings before they hit the road again. But around this little village there is enough to do because Karangasem regency is regarded as one of the most cultural parts of the islands that make it ideal to see a day trip. Besakih Temple is the most important not too far away and after visiting this temple you can easily stop at the royal pools at Tirta Gangga or Taman Ujung water palace. Another oldest village is Tenganan. 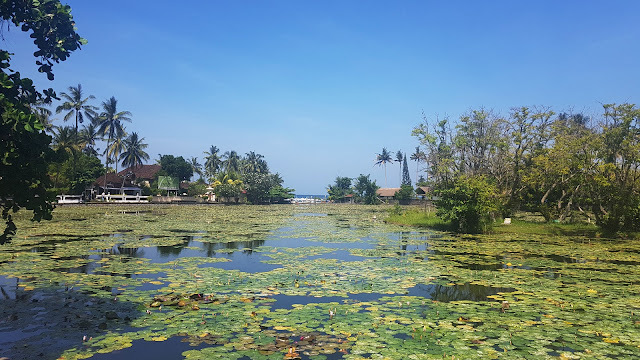 This traditional village is situated nearby and its inhabitants, called Bali Aga are considered pre-Majapahit ancient Balinese (like Trunyan villagers) who still live according to their own tradition. The Bali Aga community is known for their unique ikat fabric and palm leaf calendar. If you plan to visit, come in June. Every year in Tenganan village hold big ceremonies such as pandan war (Mekare-kare) and many other activities. Candidasa is surrounded by mountains so you can also easily go hiking. There are a couple of great trails that take you through the rice fields and the mountainous terrain in the area. The hike from Tenganan to Macang and Ngis is a great way to explore the area. 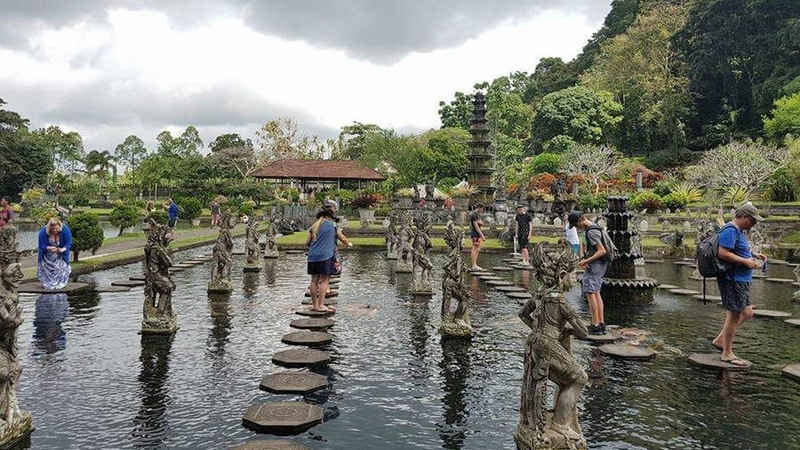 The Tenganan-Tirta Gangga trail is another great option. Start off at the temple complex at Tenganan and from there head for the forests. There is a stone wall that will guide you to a school in Gumung. There are beautiful views on the rice fields from this village. Continue your walk by passing a dam, a shrine and by crossing a shallow river. At the village Kastala head towards the main road and walk to the village of Bebandem. From here you can continue your hike to the village of Budakling and after hiking along the country roads you will end at Tirta gangga. 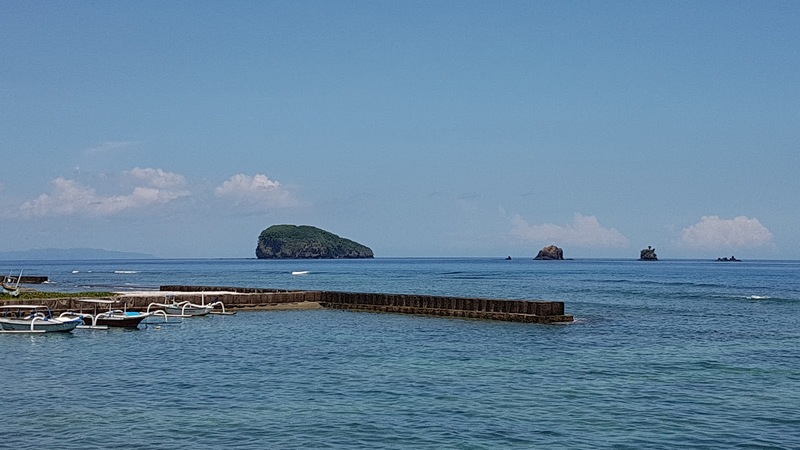 For those who prefer to do scuba diving, then Candidasa is also the right place. There are some very nice places like Gili Biaha, Tepekong and Gili Mimpang, a rock island in front of Candidasa beach. This dive site has several walls and a variety of beautiful marine life. There's even a shark cave so you'll probably see lots of sharks and sometimes even turtles, manta rays and oceanic Sunfish. Visibility is 30+ meters. 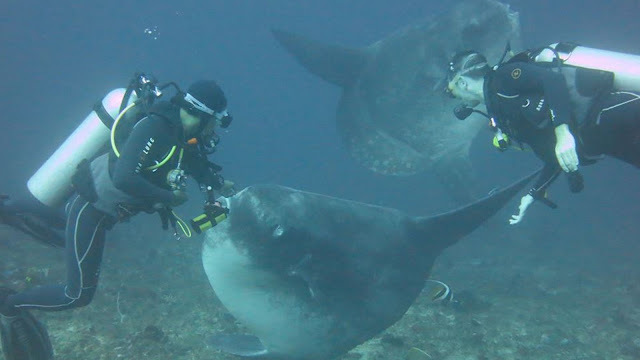 Dive and snorkel tours can be arranged from Candidasa and Padangbai. If you prefer to jump directly into the water with your snorkeling equipment, then you can do so at the Blue Lagoon located right next to the port of Padangbai. Although there are no fascinating beaches, there are fortunately some great ones not far away. 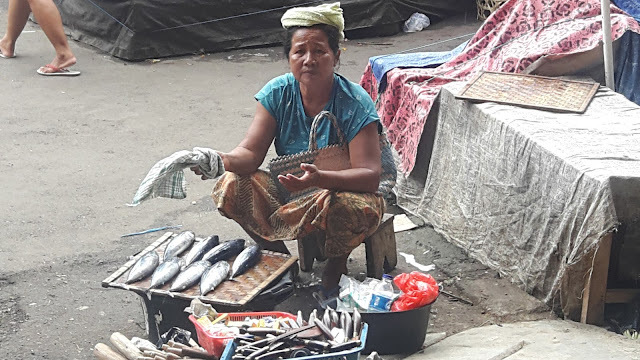 In the past Candidasa did not offer much culinary pleasure. 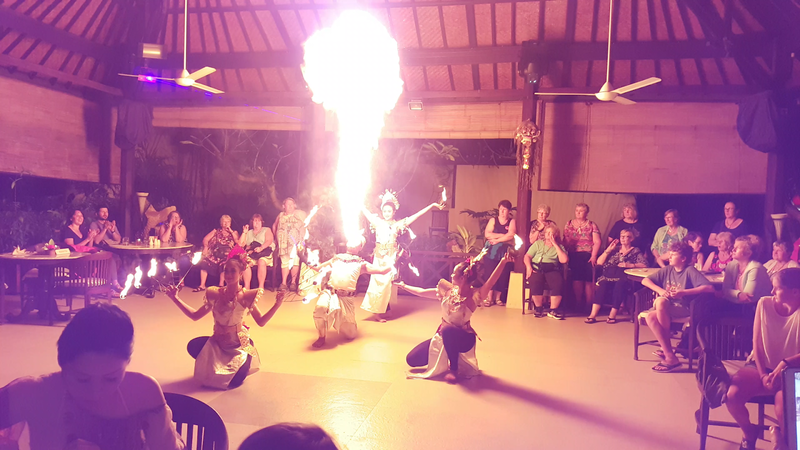 Most restaurants in Candidasa have the same menu, the same background music and the same Legong dance performance. Today you can find more prominent places. They may not serve organic food or mainly focus on preparing delicious local food but they are different from other places in town. 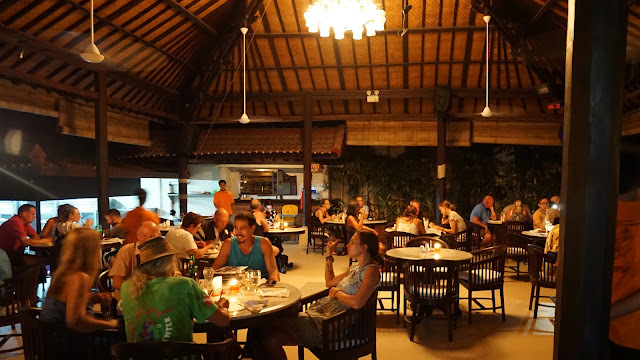 Some of them are even welcomed that you want to stay a little longer, sit at the bar or in the lounge and sip a beer. Candidasa is a quiet little town. There are many choices of hotels to choose from. And maybe Pondok Bambu Dive Resort is the right choice to settle down and relax. Beautiful sea views and fresh sea breeze, and the location is close to everything. In Candidasa, there is no big shopping center. There are only a few mini markets (like Asri Shop, Alfamart, and Indomart) as well as shops along the street selling Balinese souvenirs. And if you want to buy fresh vegetables and fruits, you should go to the traditional market in Amlapura city.